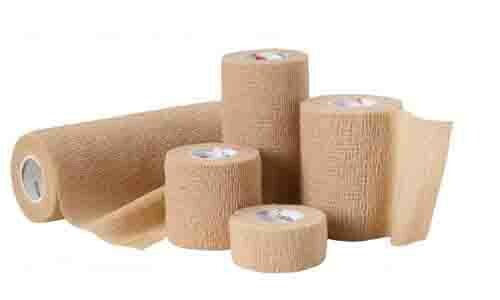 Self Adherent Cohesive Bandage Wrap by Cardinal Health is a wrap that is designed to keep wound dressing, such as Collagen Dressing securely in place. They are soft, lightweight, and made from a breathable material. 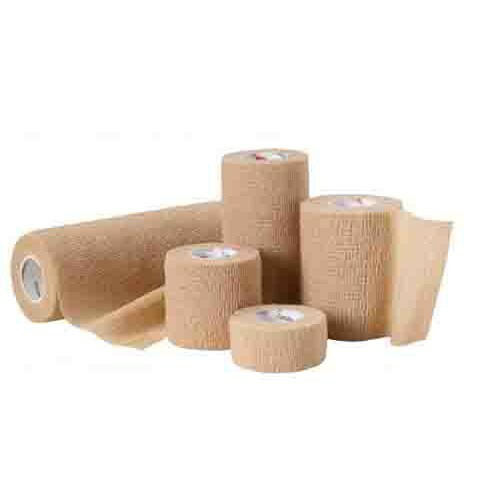 They are self-adherent bandages, which eliminates the need for fasteners. They are non-sterile and won't stick to hair, clothing, or skin. They are designed to be clean and easily hand torn for maximum convenience. Is this a latex free product? There are latex free options available upon request. Purchases can be done either by calling our customer service line at 800-397-5899 or by visiting our website at vitalitymedical.com. This is the wrong product to use if you are mildly allergic to latex. There are latex free options, but typically hospitals offer the latex laden version. Make sure to request latex free or your skin will suffer. My wife went to Memorial Herman and told them she was allergic to latex and they still gave this type to her, causing a severe wound to turn out even worse and take much longer to heal. Demand latex free or suffer losing skin, and possibly amputation. Loved the price of this product! I got the 3 in Coban-like product. It's thin and stretchy and can be stuck and unstuck several times, unlike several of the over-the-counter Coban-like products. Pricing was a bit pricy for the shipment...I paid for 3-7 day shipping, and definitely got it in 3 days, but it was coming from 2 states away, so might have been able to pay for slower shipping and gotten it just as fast. Definitely would buy from again! Love this self sticking compression dressing (ie- Coban-type dressing). It's thinner than over-the-counter brands so it doesn't bunch up or cause increased swelling from wrinkles. It is able to be stuck and unstuck several times. Love it!! Good product at very good price. Got here quickly. What more can be said? This really works great. It is light weight, comfortable and sticks together like it's suppose to. I would buy this again.